The San Diego Zoo will lose its last two giant pandas in April when the once-endangered animals will be repatriated to their ancestral homeland in China. The return of 27-year-old Bai Yun and her 6-year-old son Xio Liwu is specified in the zoo’s conservation loan agreement with the People’s Republic of China. The zoo began working with the giant pandas 25 years ago, when the species was on the verge of extinction. 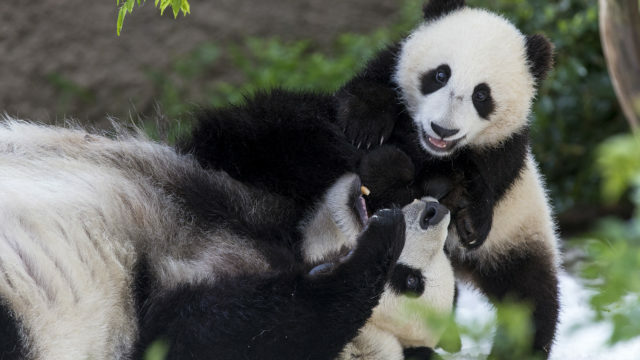 The zoo’s research into panda behavior, pregnancy, births, and maternal and geriatric care provided the necessary help to boost the wild population in China to more than 2,000 individuals. Bai Yun and Xiao Liwu’s departure follows that of giant panda patriarch Gao Gao, who was repatriated in October. Zoo guests can continue to visit the pandas at their home in Panda Canyon until April 27.